IHOP National Pancake Day 2018! Mark your calendars! 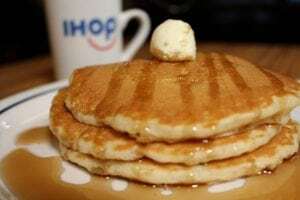 IHOP’s National Pancake Day is Tuesday, February 27th! Visit your local IHOP location to receive a free short stack of pancakes and make a donation to Children’s Hospital at Erlanger. Since 2006, IHOP has raised more than $22 million for Children’s Miracle Network Hospitals. Their support has impacted our own hospital in numerous ways, most recently to support the Believe campaign to build a new children’s hospital so we can continue serving the children of our region with the most cutting edge facilities possible. Next post: Meet IHOP National Pancake Day Culinary Kid Starla!